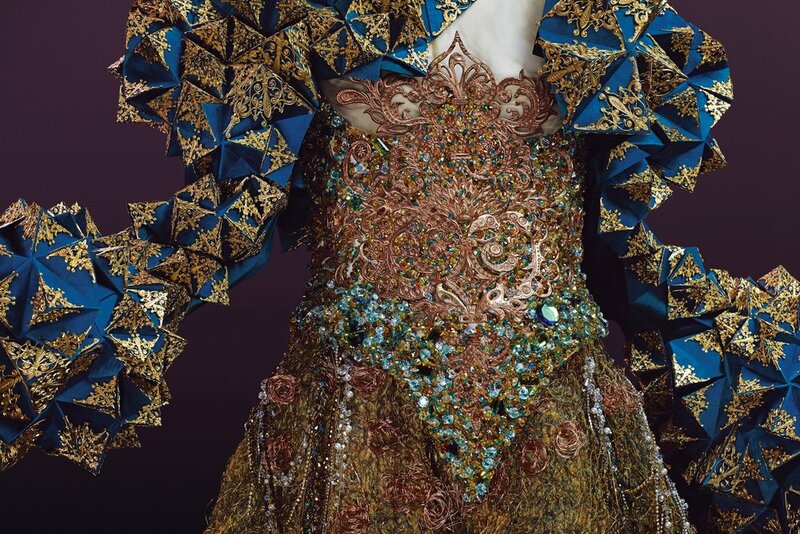 Fashion is stamping its mark on the esteemed history of Vancouver Art Gallery as Guo Pei makes her art debut with Guo Pei: Couture Beyond. 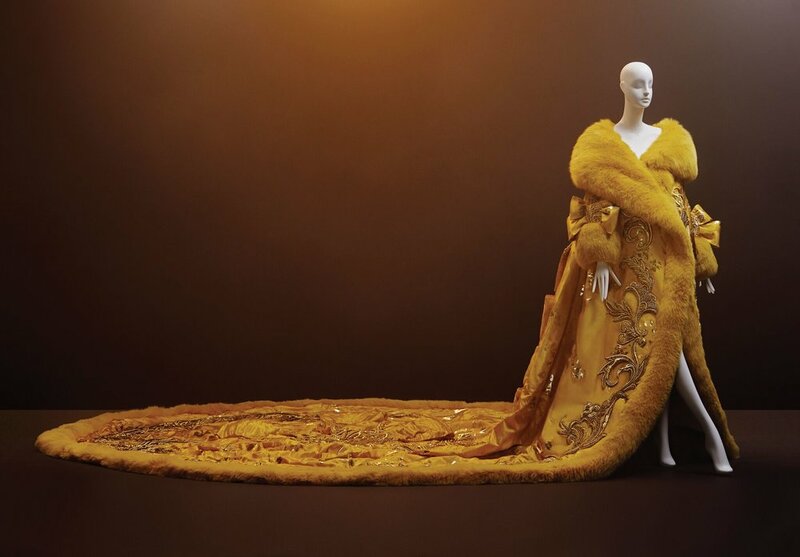 If the designer’s name doesn’t send any bells chiming in your head perhaps the image of Rihanna gracing the steps of the Met, clad in a cascading canary yellow fox fur cape while a team of people scurry around her to help carry all fifty five pounds of the embroidered silk, may jog your memory. 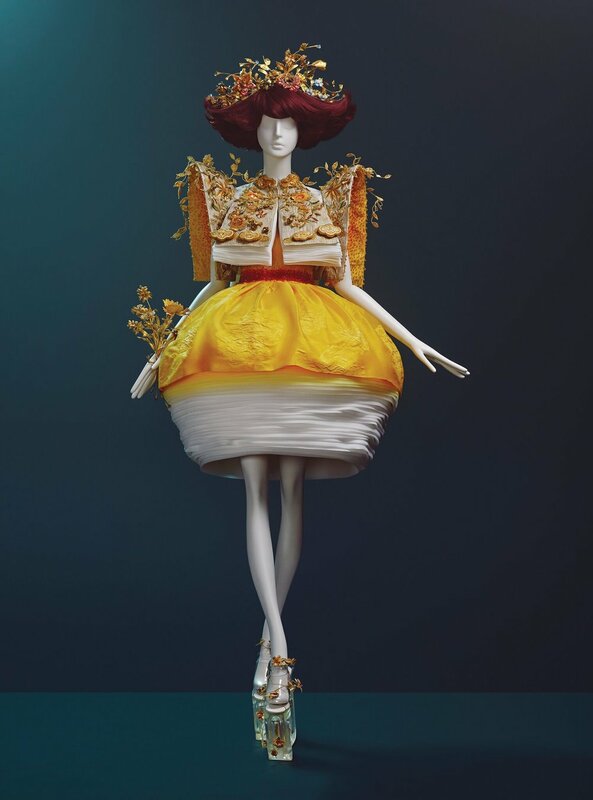 For the first time in Canada, the intricate, artfully detailed creations of the Chinese fashion icon are on display and you certainly don’t want to miss it! Boasting over 40 designs, the avant-garde silhouettes in each collection embody Guo Pei’s overall aim to capture the magnificence of China’s last imperial dynasty along with a reestablishment of ancient crafting techniques lost in a changing empire. Fashion enthusiasts and art lovers alike are treated to a showcase of career triumphs by the only Chinese national to be invited to join Paris’ Syndicale de la Haute Couture, as they wander through the halls holding collections from 2006 to Spring 2017. 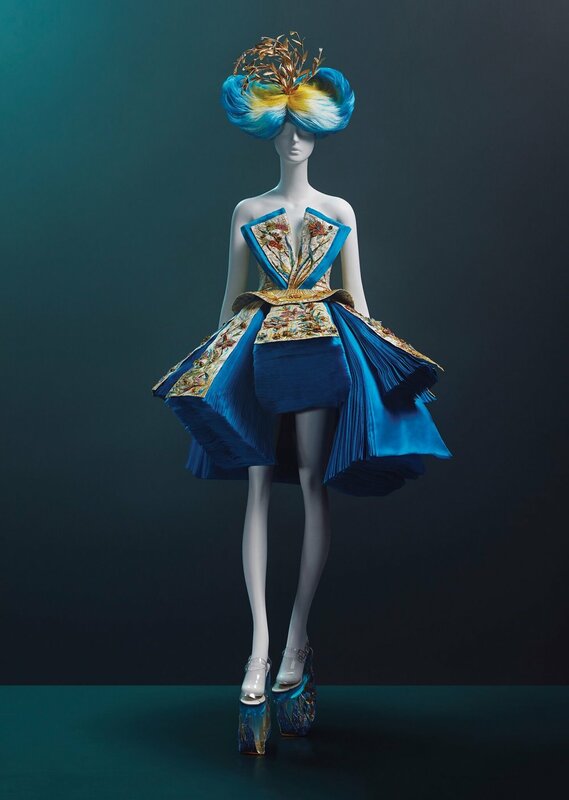 On entering the exhibition, the curators (Diana Freundl and Stephanie Rebick) welcome guests with the awe-inspiring works from Guo Pei’s debut couture collection, Samsara (2006) and whisk them away with the next installation of dresses from An Amazing Journey in a Childhood Dream (2008). Rounding the corner the 1002 Nights (2010) collection holds the focal point of the exhibition that stands alone on a spotlight lit platform in all its golden glory. Yes, we are talking about that silk 24-karat-gold-spun-thread cloak that really is as majestic up close as it was under the glare of flashing cameras. A personal favourite, the collection didn’t let Rihanna fame overshadow the rest of the pieces, in particular, a silk embroidered gown adorned with Swarovski crystals, hand-painted motifs and topped with a porcelain ornamented tasselled headpiece inspired by the traditional Chinese pale blue and white porcelain bowls. Splattered with symbolism, Guo Pei continues her blending of ancient tradition with modern sensibilities as the exhibition seamlessly snakes on to Legend of the Dragon (2012) which breaths life into the mythical dragon of the Chinese Zodiac. In the rotunda of the gallery, Guo presents a dynamic display of her collaboration with MAC cosmetics in 2015 from Garden of the Soul. A youthful vibrancy radiates from this installation, with models sporting colourful wigs to complement the electric blues and oranges of the beaded, crystal embellished shorter dresses. Concluding the groundbreaking exhibit of expert intricate detailing by one of TIME Magazine’s top 100 most influential people, visitors are bid farewell by an LED lit masterpiece of glittering gems as a dress almost resembling a lampshade, topped off with a bejewelled religious metal cross rounds off the final collections, Encounter (2016) and Legend (2017). A revolutionary individual herself, there never has been a more deserving creator to revolutionize the future of VAG exhibitions than Guo Pei and her couture works of art. 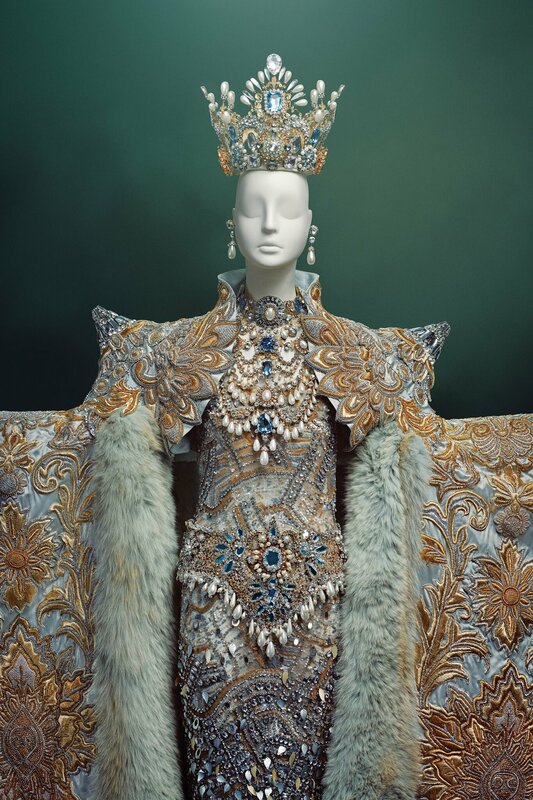 Organized in collaboration with SCAD FASH Museum of Fashion and Film the exquisite exhibition is at the Vancouver Art Gallery until January 20, 2019. We all know one of the best parts of NYFW is seeing fashion en plein air, walking around NYC. 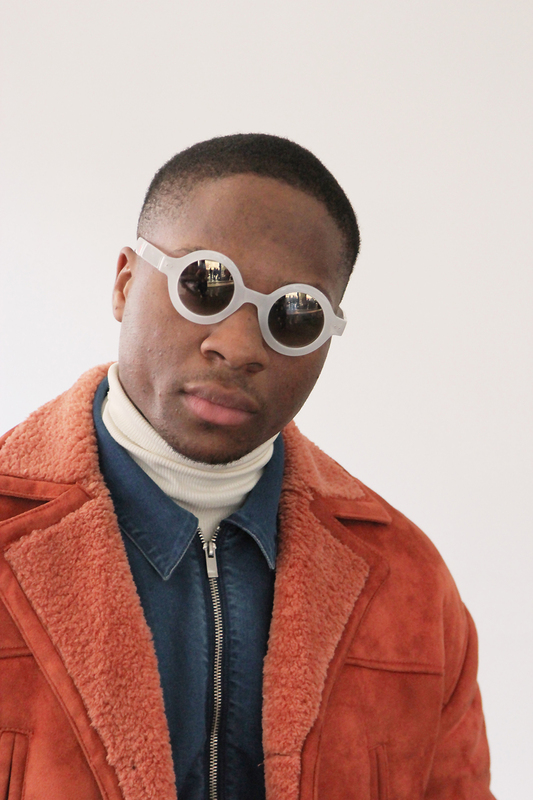 We've collected our favourite street style looks from Global Fashion Collective's New York Fashion Week showcase. Scroll through these awesome outfits below!